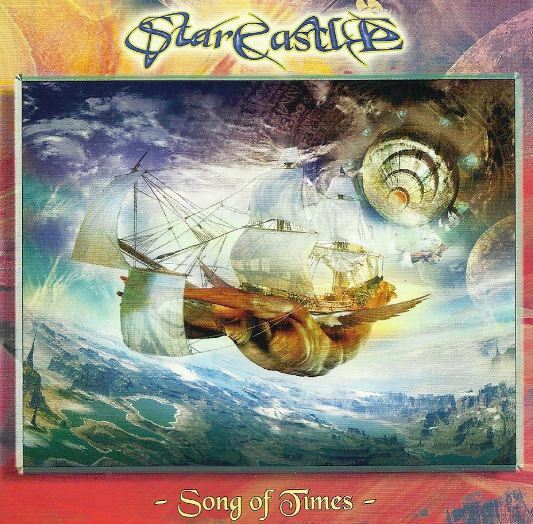 The late bassist Gary Strater’s dream to create one more Starcastle record was realized in 2006 with help from his long time engineer friend Mark Rubel, along with old band members and friends. Many of the ideas for pieces date back to Strater’s West Coast stints and various cassette tapes, which indicates in part Rubel’s labor of love to complete the project after Strater lost his long fight with pancreatic cancer. The album’s nine new songs constitute what the group would have been like had they updated their sound and hooked up with the neo-prog crowd. There are many high points for fans to get excited about including “Babylon” which compares more to older Journey than other classic acts except for Strater’s persistent bass lines and subtle unison breaks midway through the track. Original members Mathew Stewart (guitar) and Herb Schildt (keyboards) also get plenty of opportunity to stretch out on the disc. Even original vocalist Terry Luttrell appears on one cut, “All for the Thunder,” which serves as a reminder of the band’s classic first album which took FM radio by storm. Vocally the style of the group is still a variation on the classic Yes harmonies with some minor differences. Ex-Renaissance singer Annie Haslam’s ornate painting graces the cover, adding a spectacular visual touch to the project. An incarnation of the band reformed to play Rosfest 2007 and was also well received. Overall it’s a strong testament to Strater’s persistence to get this material out to fans and friends.